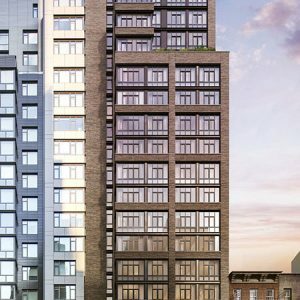 Renderings have been revealed of the 20-story, 74-unit mixed-use building under development at 591 Third Avenue, located between East 38th and 39th streets in Murray Hill. The latest building permits indicate the project, dubbed The Lindley, will encompass 96,166 square feet and rise 213 feet to its roof, not including the bulkhead. 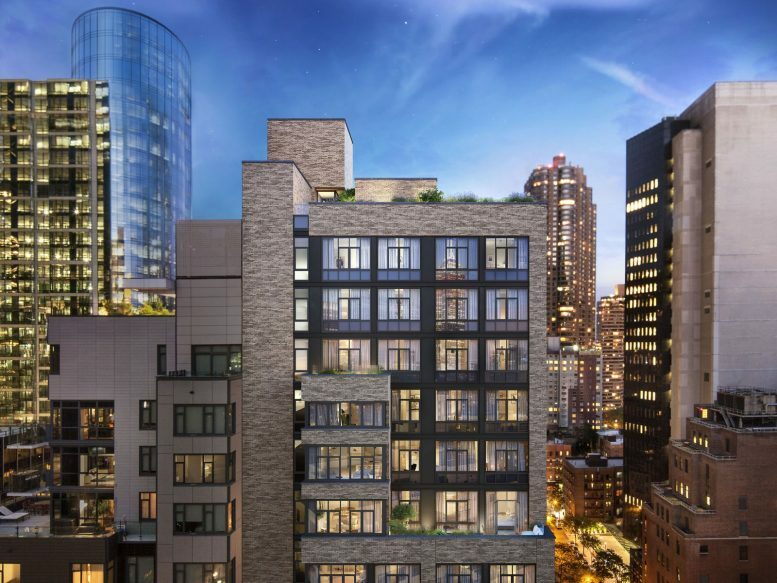 There will be 4,231 square feet of retail space on the ground and cellar levels, followed by residential units on the second through 20th floors. The apartments, which will be condominiums, should average 969 square feet apiece. CBSK Ironstate, a partnership between CB Developers, SK Development, and Ironstate Development, is the developer. Rawlings Architects is the architect. 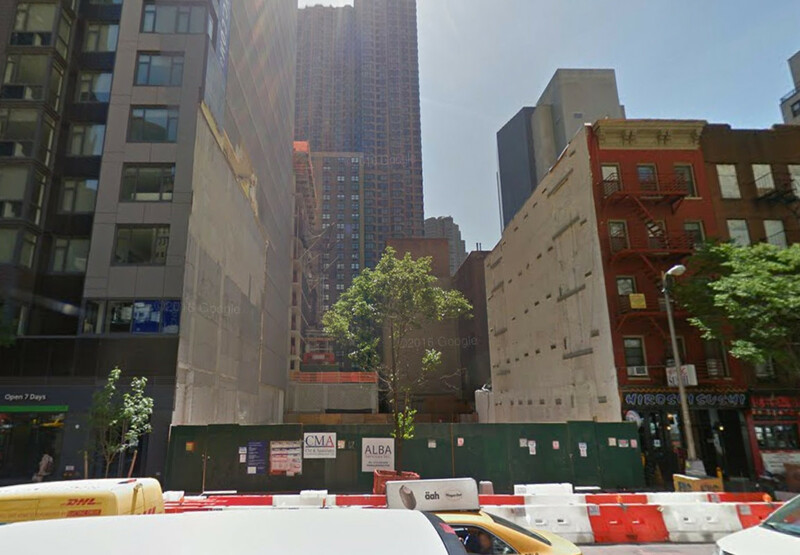 Three five-story tenement buildings were demolished over the summer. Vacant 591 Third Avenue. Image via Google Maps. 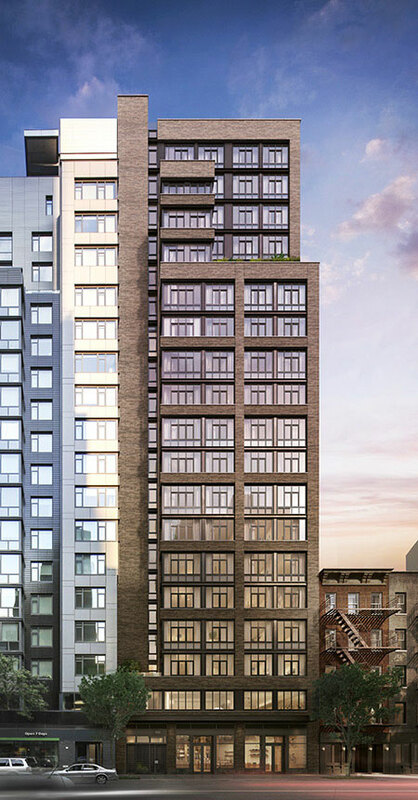 1 Comment on "Reveal for 20-Story, 74-Unit Mixed-Use Building Planned at 591 Third Avenue, Murray Hill"
You tell me click to see full-size, I’m done and read the details that renderings revealed on 20-story.